Michael Kelley writes about the one person who can cast the first stone of condemnation against us. On a related note, Trevin Wax says, “It is puzzling to see one of the defining marks of a Christian’s identity quietly disappear from a church’s worship.” He refers to confession of sin, and though a corporate confession can encourage us to view God as perpetually frowning at our inability to measure up to his standard, the lack of corporate confession can encourage the opposite error, the belief that sin doesn’t matter. That mirrors my experience with corporate confession of sin. Reading with those around me how I have not done what I should have done and did what I should not have done opens me up to the wonderful announcement that Christ Jesus has given me his righteousness and set me free from the power of sin. It’s liberating to hear out loud and in public, because in private it’s easy to pick up stones to throw at myself. The Eater Upsell podcast talked to Alton Brown this month about his books, his road show, his Food Network shows, and his food philosophy. There are many highlights, but one that stands out to me is his big shout-out to Memphis, Tennessee. Outside of Memphis proper is this doughnut place called Gibson’s, which makes not just the best doughnut in the United States but, as far as I’m concerned, if all the other doughnuts went away and I still had Gibson’s, I’d be okay. They’ve also got the best chicken, and maybe the best hamburger in the United States. He also gives credit to Starbucks for being the “game changer” in American food culture. Now, many of us are willing to spend $4 on coffee and look forward to fancy third-wave brews. What’s funny, though, is I think that we’re more sophisticated as eaters than cooks. You know, I know people that can detect the difference between whether we’ve made the bouillabaisse with, you know, Turkish saffron or Iranian saffron, but couldn’t cook the seafood in the bouillabaisse if you held a gun to their head, you know, so — we’ve become far more sophisticated as consumers. Whether we have as cooks or not, I don’t know. Dan Reno (pronounced Renno) is a maintenance alcoholic who works for a detective agency whose penny-pinching owner he despises. But he gets along well enough with his ex-wife to be invited to a family wedding, that of one of her relations to the son of a business tycoon in Reno (the town). The wedding never happens though, because the groom is murdered the night before, during the bachelor party. His grieving father hires Dan on the spot to find out who’s responsible. $100,000 to identify the killer, then leave the rest to him. Dan takes the job, and gradually learns that the dead man was not the person people thought he was. 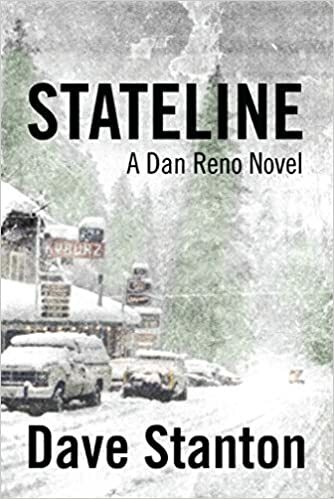 He had been involved with some very unsavory, dangerous people, and Dan is soon struggling to save his life – and that of his cop friend Cody, who comes to help him – in the dangerous mountain country around Reno. Organized crime and corrupt cops both want them to back off, and are willing to kill them if they don’t get the hint. That’s the premise of Stateline, a throwback to classic hardboiled formulas in a contemporary setting. The book grew on me. Dan seems a little sleazy at the beginning of the story, but as we get to know him he displays some decent qualities, especially in his treatment of women. I grew to like him. The book, in spite of all the vice it describes, has a moral center. The writing in Stateline is sometimes spotty. I was put off by some infelicities in the style. But it wasn’t bad enough to make me delete the book from my Kindle unfinished (it’s free for Kindle, at least this month). I might mention that I’m reading the sequel now, and the quality of the prose has improved. Not a bad novel. Cautions are in order for language, drugs, sexual situations, and some serious violence. Full disclosure: Hannah Rose Williams, the author of this book, is a former student at the school where I’m librarian. She sent me a free copy of her latest novel for review. I’m not sure we’ve ever actually met, but I need to be up front about the connection before offering this review. Having finished Never Taste Death, I discovered that it’s the second book in a series. That explains a lot. Although the writing impressed me in many ways, much more than many self-published novels I’ve seen, I often felt like a spectator at a ball game without a score card. So although I’m reviewing the second book, I recommend getting the first one, A World Awaits, if you decide to get into this series. The setting seems to be the future, where things have changed a lot but there are still many Christians. Some kind of interdimensional breach has occurred, and now humans inhabit various dimensions, sharing them with beings something like elves (they are short and have green skin, and can travel through earth). Various groups of humans and elves are at war with each other. Many humans are not Christians, and many elves are. The main character, Carver Winchester, is a genetic mix. When we meet him he is working in some kind of labor center, working off a debt. Then he gets a plea for help from an old acquaintance, and he deserts through an interdimensional portal. His family follows him, resulting in various adventures and a tangle of story lines that converge in the end. I was impressed with the character development and dialogue in Never Taste Death, most of the time. There are a lot of discussions about religion, in which the author works out her essential arguments about God. The discussions are pretty well written (generally), but I thought there were probably too many of them for one book. You should be warned that the author has decided to employ realistic dialogue, including the occasional obscenity. There are also a couple minor characters who are homosexuals, and I’m not sure whether we’re supposed to approve of them or not. The book’s chief weakness, in my view, is not enough description. I had trouble understanding what the various racial groups looked like, and what buildings looked like. I had some trouble keeping the many characters straight (though that’s not unusual for me in any book). Also (I never thought I’d say this) a couple information dumps would have been helpful. Some things that wouldn’t be secrets to someone who’d read the first book were opaque to me until the end. 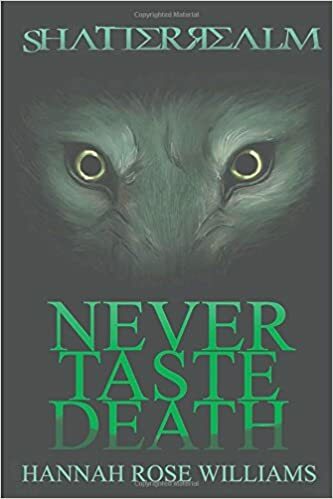 Less than a fully professional work, Never Taste Death is nevertheless a better than average self-published novel, especially in the Christian fantasy genre. Cautions for language, adult themes, and violence. Not for kids. Leah Libresco talks about the moral wonders of Discworld in “The Little Way of Terry Pratchett.” In these magical stories, sin is essentially treating people as things. 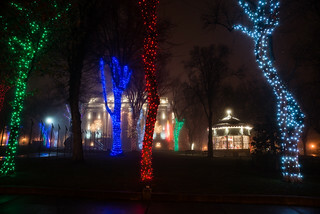 One Christmas Eve, a heavy fog covered the earth. From pole to equator, a blanket of cloud laid over everything. Santa stood on the four floor balcony of his Arctic mansion and said, “If I don’t find a piercing light to cut through this fog, I may give naughty children nice presents and nice children the coal.” He could think of only one solution. These stories can be the type of fantasy that points us to the truth. I grew curious about the character of Whispering Smith years back. I was reading a book about the Wild West, and the author mentioned, in an aside, that Smith was based – in part – on the real life lawman Joe Lefors. Lefors is best remembered nowadays as the faceless posseman in a straw boater who so spooks Butch Cassidy and the Sundance Kid in the movie. In real life, alas, Joe Lefors was less of… well, of a force. He didn’t catch Butch and Sundance, after all, and his greatest achievement was extracting the confession that sent Tom Horn to the gallows for murder in 1903. Historians ever since have disputed the validity of that confession. The same writer mentioned that the vicious killer Harvey DuSang in the novel is based on another Wild Bunch member, Harvey Logan (Kid Curry). I first heard of Whispering Smith in a short-lived 1961 TV series that starred Audie Murphy. That series is notorious for being cited in a Senate Juvenile Delinquency Committee hearing as an egregious example of TV violence. The series actually bore almost no resemblance to the book, retaining the hero’s name and pretty much nothing else. The series was loosely based on a 1948 movie (actually the last of several film adaptations) that starred Alan Ladd and Robert Preston. That movie was based on the book, though they moved it back in time (the novel is set around 1900, and everybody has telephones), and omitted a rather charming romantic subplot. 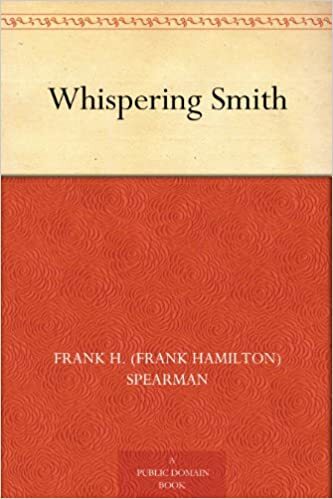 Having established that, let’s talk about the actual book, Whispering Smith, by Frank H. Spearman. It’s free for Kindle, so I thought that after all these years I’d find out what it was about. I had a pleasant surprise in store. The story starts with a railroad foreman, Murray Sinclair, arriving at a wreck site to clear the track. He’s a well-paid and competent employee of the company, popular and efficient. But, we also learn, he’s pretty much a man without a conscience. We’d call him a sociopath today. He considers it one of his perks to plunder the wrecks. He’s caught at it by a railroad supervisor, and fired on the spot. Sinclair withdraws along with his work crew, and becomes an outlaw, dynamiting and wrecking the trains he used to salvage. This causes the railroad president to call in his best detective, Gordon “Whispering” Smith. Smith has been keeping away from that particular area for some time, out of consideration for a resident of the town. Marion Sinclair is Smith’s old flame, but she married his childhood friend Murray Sinclair. She’s learned Murray’s true character by now and has separated from him, but (in one of those plot points that would be incomprehensible to today’s reader) they both respect the sanctity of marriage and wouldn’t dream of committing adultery together. But Sinclair is too proud to run, and Smith has principles about doing his job, so their final showdown is inevitable. When I started reading Whispering Smith, it seemed to me a pretty standard old-fashioned novel. The prose was a little more florid than what we prefer today, and the dialogue doubtlessly bowdlerized. But the more I read, the more I got caught up in the story. 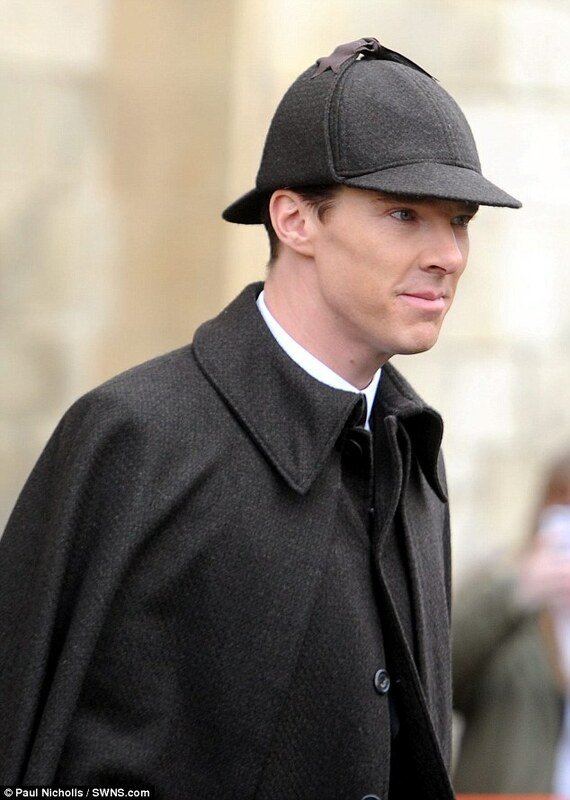 The characters are exceedingly well done, especially that of Smith himself. He’s one of those seemingly ordinary men who reveals increasingly intriguing depths. Everything surprised Whispering Smith, even his salary; but an important consequence was that nothing excited him. I truly enjoyed Whispering Smith, and I recommend it heartily. You have a story of faith and God’s work in your life. “And if people don’t take us seriously,” says Aaron Armstrong, “that’s still good news worth sharing.” He briefly describes the struggle his wife has experienced and links to a couple versions of her remarkable story. Miss Ypson had not always been dead; au contraire. She had lived for seventy-eight years, for most of them breathing hard. As her father used to remark, “She was a very active little verb.” Miss Ypson’s father was a professor of Greek at a small Midwestern university. He had conjugated his daughter with the rather bewildered assistance of one of his brawnier students, an Iowa poultry heiress. I think I’ve intimated before that I’m adopting a policy of withdrawing – a bit – from contemporary fiction. We find ourselves in a new Victorian era, where quite a lot of things that are true can’t be said in polite company, and where every story is expected to genuflect, at least for a moment, toward the altar of the accepted pieties. It’s all very boring and annoying, and I need to stretch my legs on older, more gracious paths from time to time. So I’m going to be checking out some literature of the past. As my tastes run to mysteries, that necessarily involves what’s called the stories of the Golden Age. Which will involve acquiring some new tastes. Golden Age mysteries are primarily puzzle stories, and that approach doesn’t excite me much. I like my stories character driven. 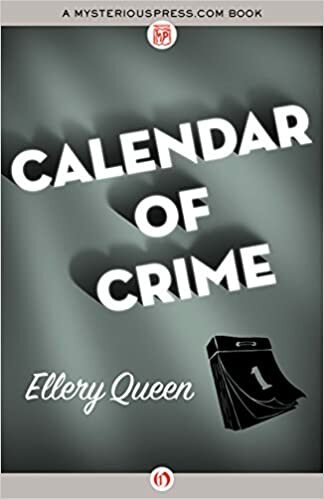 I downloaded Ellery Queen’s Calendar of Crime. Published in 1952, it’s not strictly a Golden Age book, but the approach is pretty much the same. It’s not a novel but a short story collection. The “calendar” of the title means that each of the twelve stories is set, chronologically and thematically, in a particular month of the year. The January story involves a New Year’s Eve party; the February story involves a legend about George Washington, etc. The main character, of course, is Ellery Queen, a sophisticated New York amateur detective whose father happens to be a police inspector. It’s a good collection. The puzzles are clever, and the writing (by Frederic Dannay and Manfred Lee, who wrote under the Ellery Queen name) can be quite elegant, as witness the excerpt at the top of this review. These are puzzle stories, not character stories, but within the bounds of the form the authors did a good job of making them relatively plausible. I’ll say this, though. Never hire Ellery Queen to protect either your life or your property. He will always fail, because if he succeeded there’d be no mystery for him to solve.